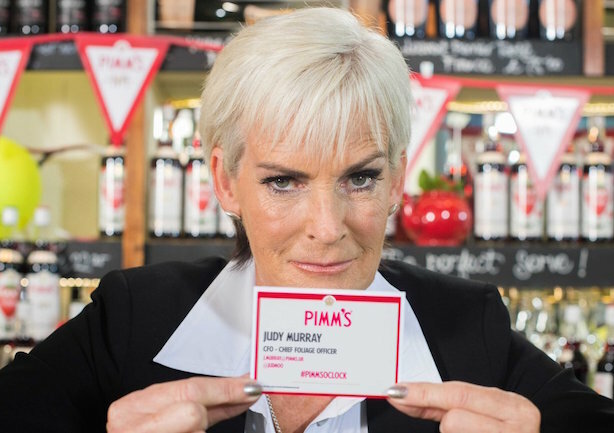 Judy Murray, tennis coach and the mother of British star Andy Murray, has been drafted in as 'chief foliage officer', highlighting the problems of excess mint in a glass of Pimm's, as Wimbledon kicks off. The partnership was the brainchild of Taylor Herring and was announced to coincide with the first day of Wimbledon 2016 (27 June) where Pimm's is one of the drinks of choice around the grounds. Elly Martin, Pimm’s brand manager, said: "We’re delighted to welcome Judy to the team as our newly appointed Pimm’s chief foliage officer. Mint management is key to a great glass of Pimm’s and we know Judy is a perfectionist and doesn’t settle for second best." As part of the tie-up, Judy Murray has recorded a training video for bartenders entitled The Art of Mint Management.